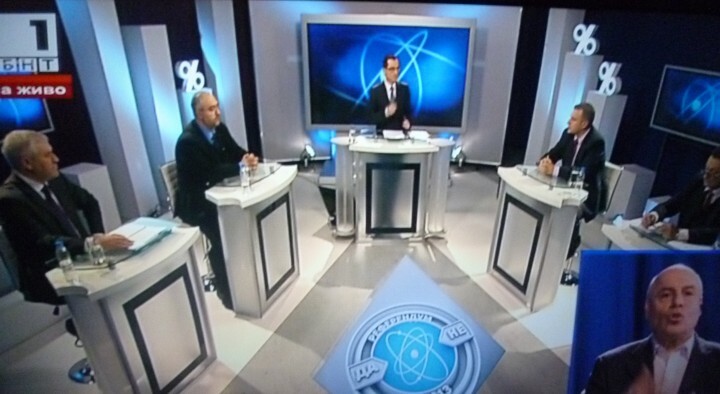 The foremost problem in Bulgaria’s national debate ahead of the country’s January 27 2013 national referendum on the future of nuclear energy in the country is that the exchanges between the rival camps are less a matter of informed discussion than of trading the dogmas of rival religious faiths. 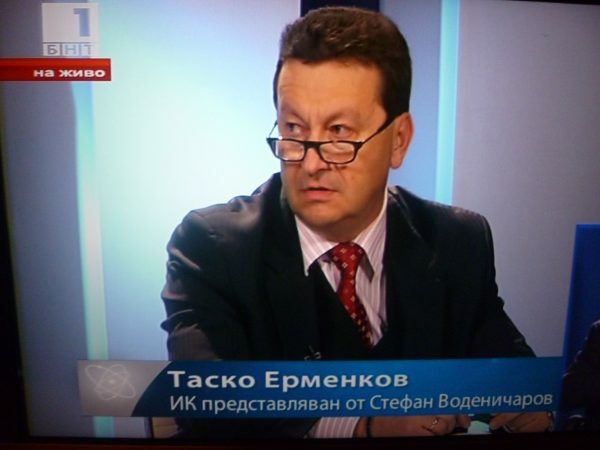 This much became abundantly – and ever more clear – from the debate broadcast live on public broadcaster Bulgarian National Television on January 16 2013. On January 27, Bulgarians are officially being asked whether the country should continue to develop nuclear energy capacity by building more. But, as The Sofia Globe noted in a report the previous week, the debate is really about the Belene project, that obese and greedy project that no one at the Freshers Ball wishes to ask to dance. Or, if you prefer, the project that has its roots three decades ago in Bulgaria’s communist era, has attracted no international investors of significance, and is – for whatever reason – the object of determined passion of the Bulgarian Socialist Party, the lineal successors to the communist party of yore. It is the socialists who precipitated the January 27 referendum and the opinion poll that will cost millions of leva to establish what is already well-known – that Bulgarians wants cheaper electricity. But at what cost? For the pro camp, Belene will pay for itself, in revenue-earning exports. 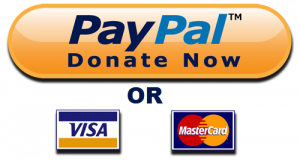 For the anti-camp, the cost will be to the account of ordinary Bulgarian taxpayers and their children and grandchildren and generations to be. Because, for the anti camp, Belene – although its name is not mentioned, deliberately, in the referendum question – is a vastly expensive folly solely to the benefit of Moscow energy interests to which the same socialists are beholden for reasons of…well, learn to read Bulgarian and go onlline. 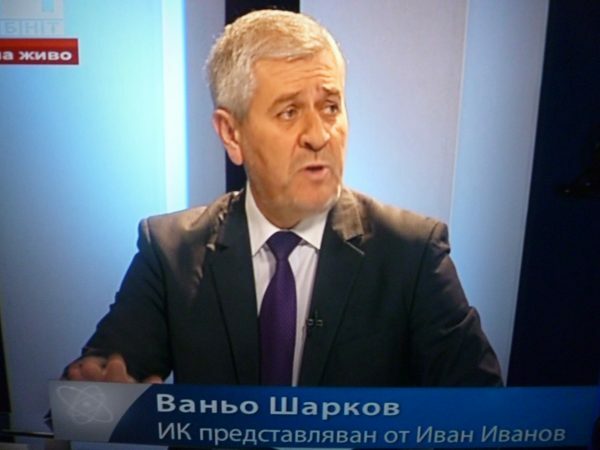 Thus, for the second in a series of television debates, Bulgarian National Television lined up, in the pro camp, Tasko Ermenkov and Petar Kurumbashev, and in the anti camp, Vanyo Sharkov and Emil Mechkyal. The oddity being, in a debate that was meant largely to be about environmental issues, that Sharkov kept on insisting that the group of which he is a member actually favours nuclear power, just not Belene. The arguments of the anti camp are well-known by now, to those determined to watch dull debates. The pro camp promises cheap electricity, safe too, provided at the expense of glittering hordes of foreign investors and cost-equals-expenses exports. Why, the cost will be met by the exports, Ermenkov sought to persuade viewers. No, the cost – running into billions – will be borne by the rank-and-file of Bulgaria’s long-suffering taxpayers, argued the anti camp, who had no qualms about throwing the Chernobyl and Fukushima projects into the debate. Belene would be built by the same people who saw no reason to evacuate after Chernobyl went badly wrong, they said. The pro camp came with good factoids – the many hundreds of kilometres it would take for photo-voltaic power to be the equivalent of what Belene could produce, for instance. In the end, watching the dreary minutes of the debate, it indeed was reminiscent of two rival religious groups – those who have faith and those who do not. In the absence of transparency about the financial and other implications of the Belene project, and the rival alternative at Kozloduy that the current centre-right government advocates, it seems a debate headed for a certain conclusion and an uncertain mandate about what to do next.